These easy sudoku problems provide plenty of clues, making it fairly straight forward to solve them without using guessing or complicated strategies. 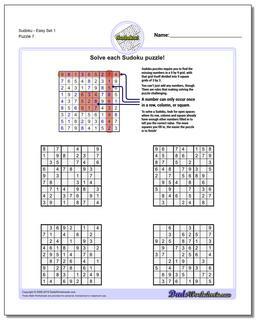 That makes these puzzles a great place to start for grade school age kids who are being introduced to logic puzzles. 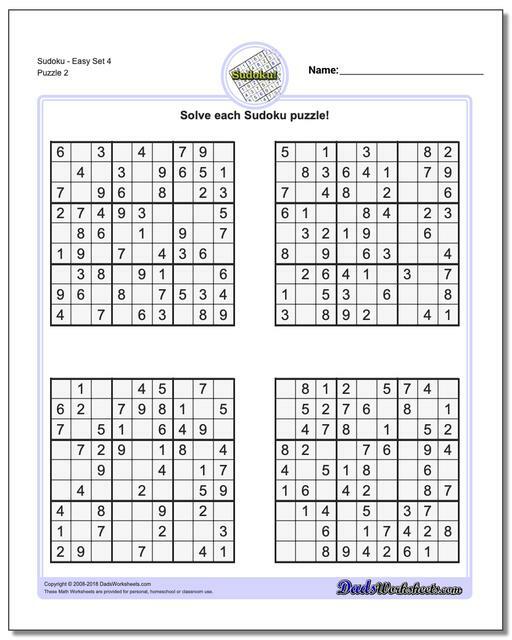 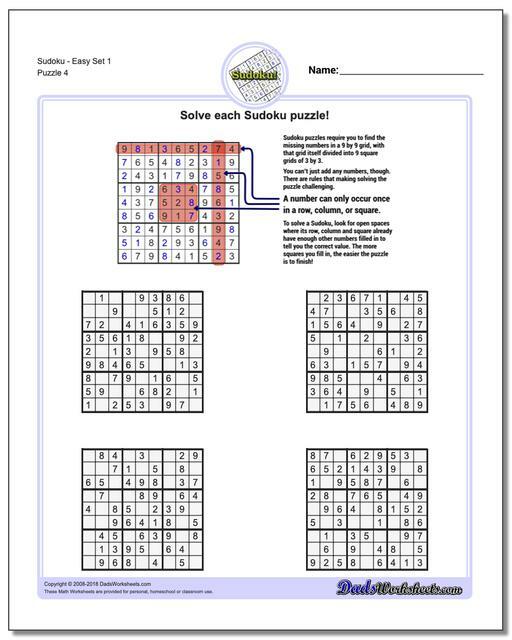 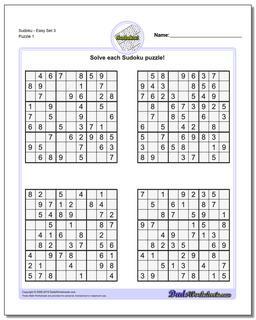 For younger kids, the color sudoku for kids pages here are a good start, but once those puzzles are mastered, moving on to these traditional sudoku with numbers is the next step. 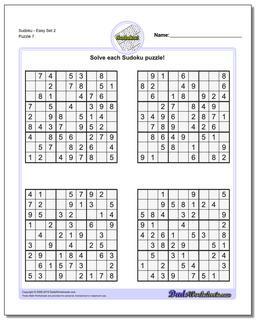 The first set of printable pages provides sudoku instructions and an illustration to get you started, and it's duplicated below in case you need a quick reminder of the rules for sudoku. Either way, these easy puzzles will get you sudoku solving in no time!